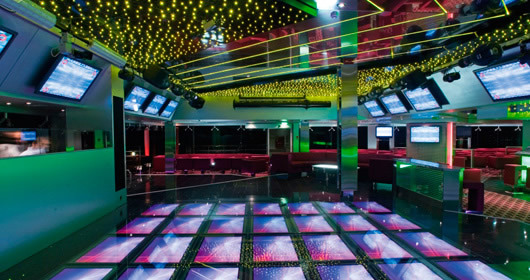 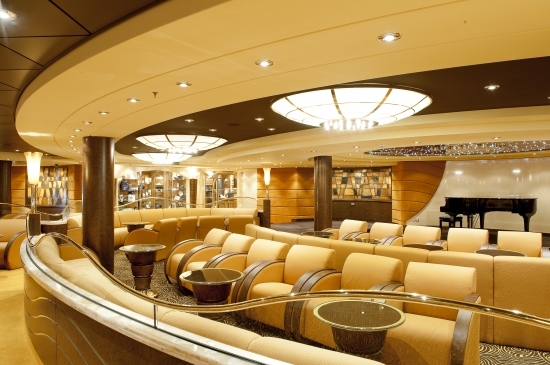 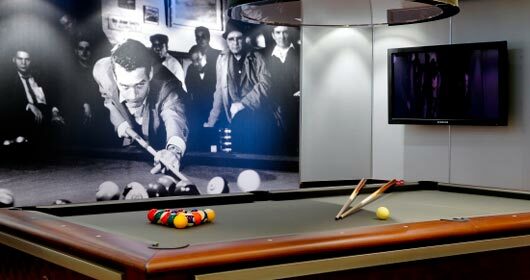 Deck 16 features the One Bar, and the Sports Center. 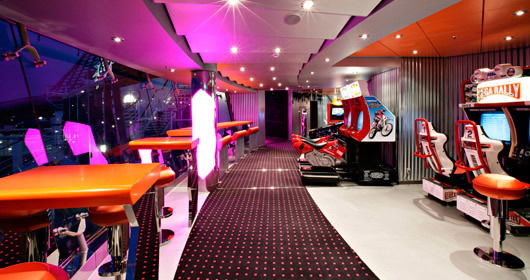 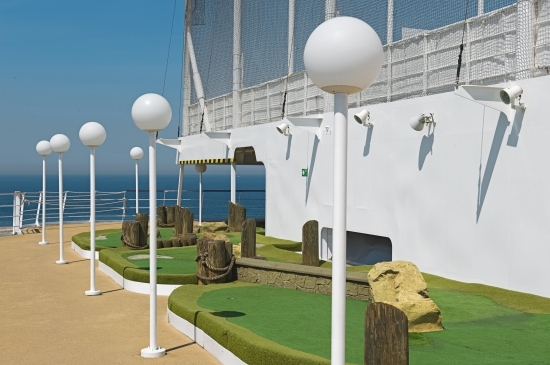 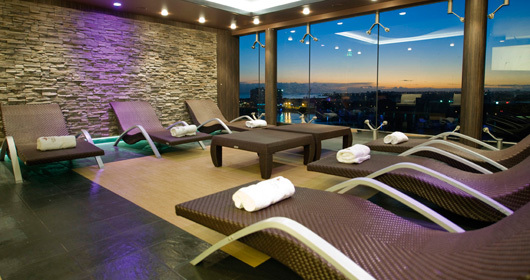 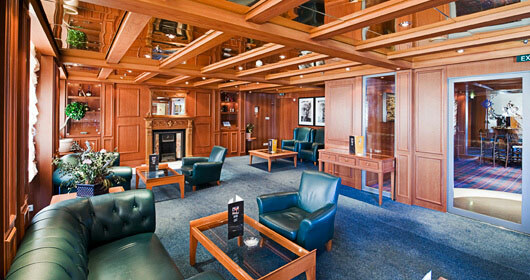 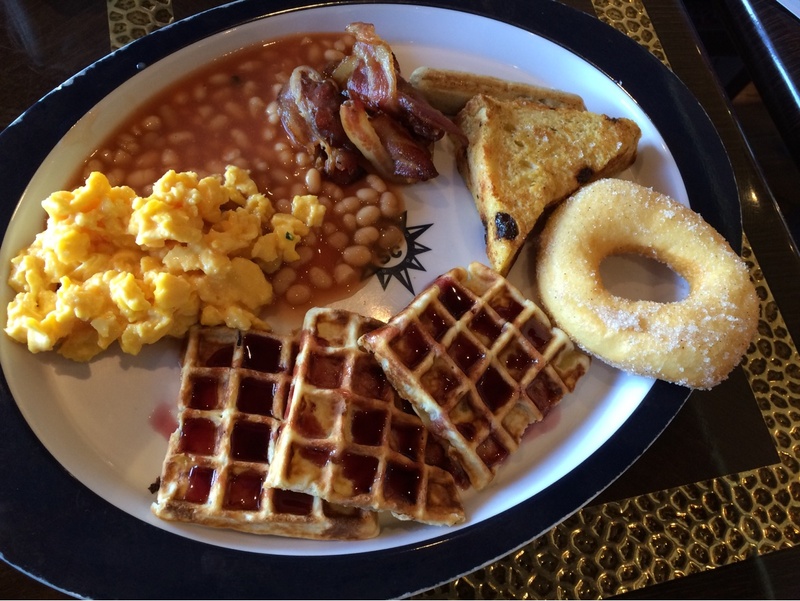 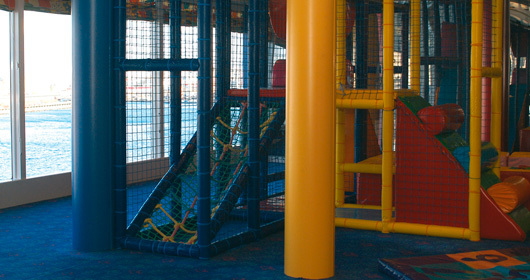 Deck 15 features staterooms in categories 11, and 13, as well as mini-golf, and shuffle-board. 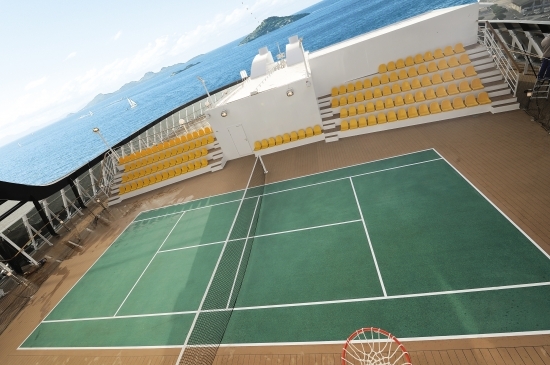 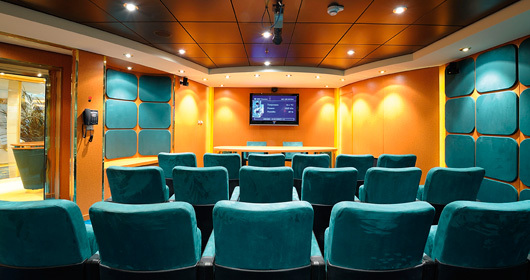 Deck 14 features staterooms in categories 11 and 13, as well as jogging track, children's outdoor pool and games, children's indoor playroom, video game room, and T32 Disco. 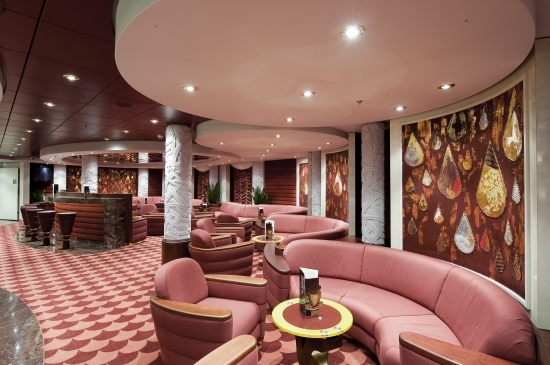 Deck 13 features the Aqua Spa, La Conchiglia Bar, Le Grand Bleu Pool Area, La Barchetta Bar, La Grotta Azzurra Pool Area, Sahara Cafeteria, and L'Oasi A la carte restaurant. 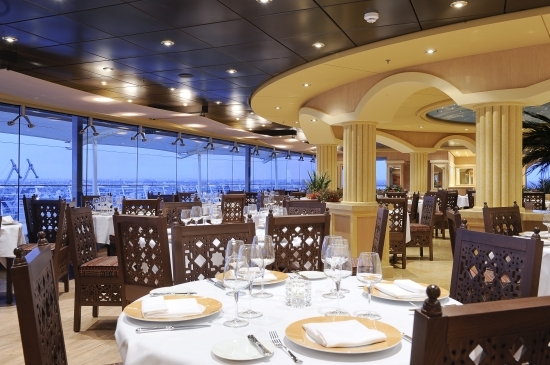 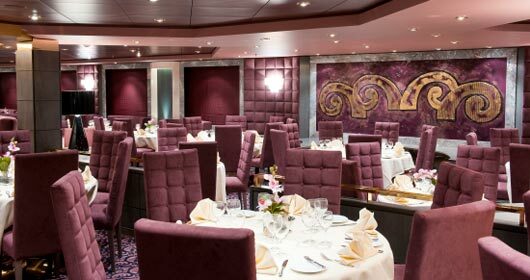 Deck 12 features staterooms in categories 3, 8, 11, and 12. 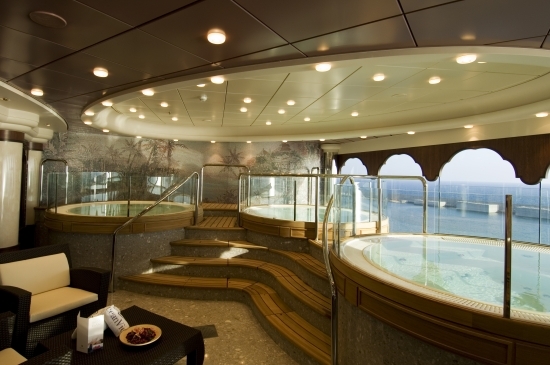 Deck 11 features staterooms in categories 3, 7, 11, and 12. 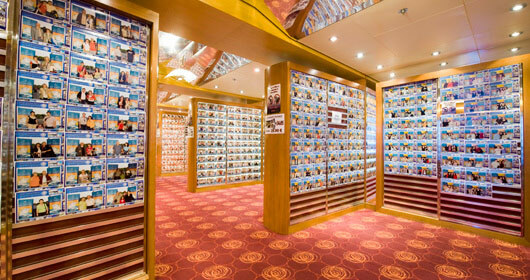 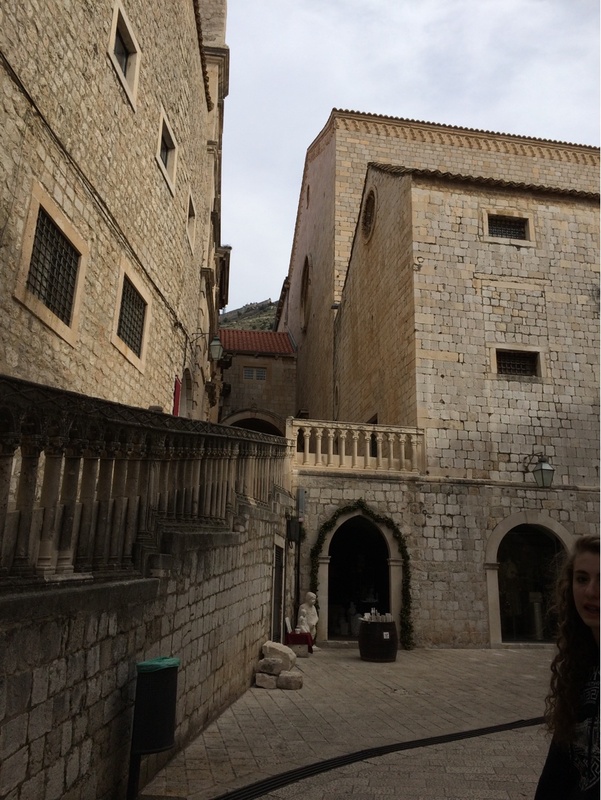 Deck 10 features staterooms in categories 2, 3, 7, 10, and 12. 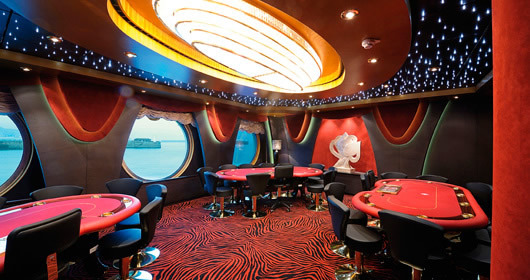 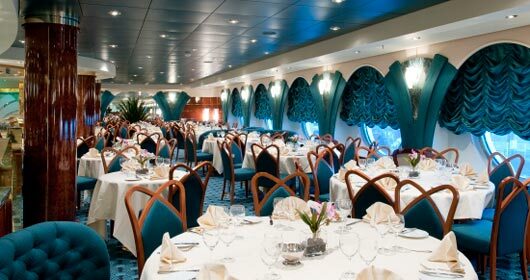 Deck 9 features staterooms in categories 2, 6, 9, 10, and 12. 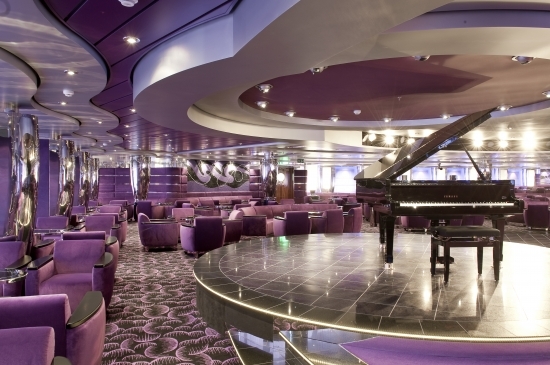 Deck 8 features staterooms in categories 1, 5, 6, and 9. 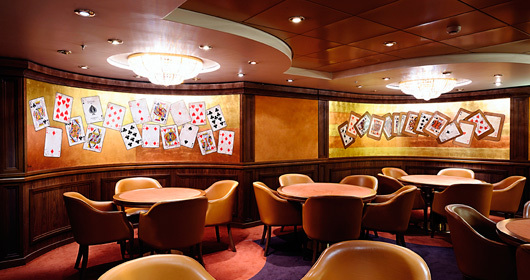 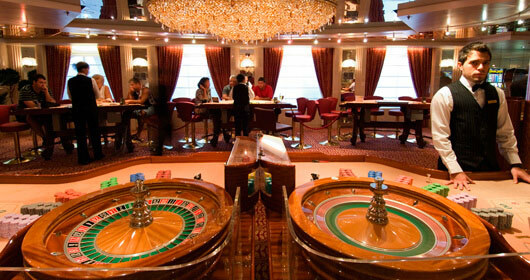 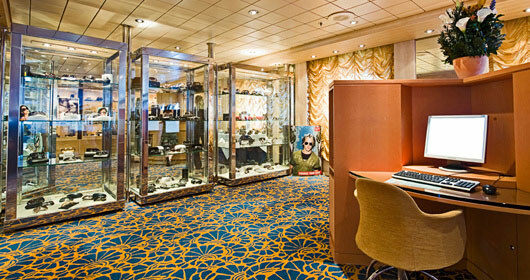 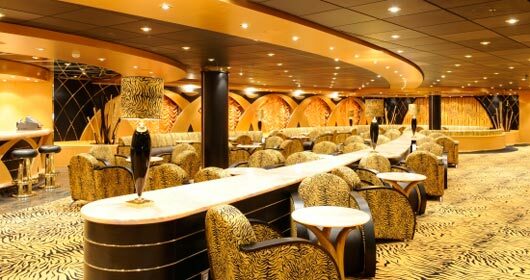 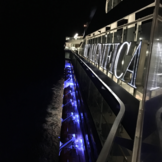 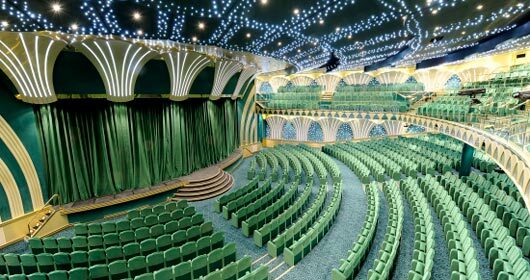 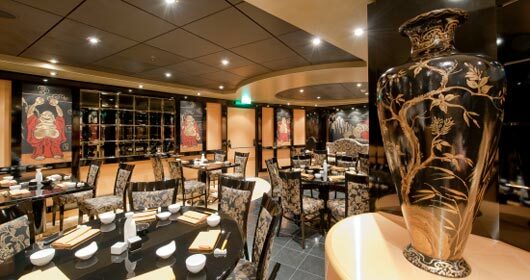 Deck 7 features the Royal Theatre, Atlantic City Casino, card room, library, art gallery, Shanghai Chinese Restaurant, Cyber Cafe, Cuba Lounge Cigar Room, photo gallery, L'Olimpiade Sporting Bar, and the L'Ametista Lounge. 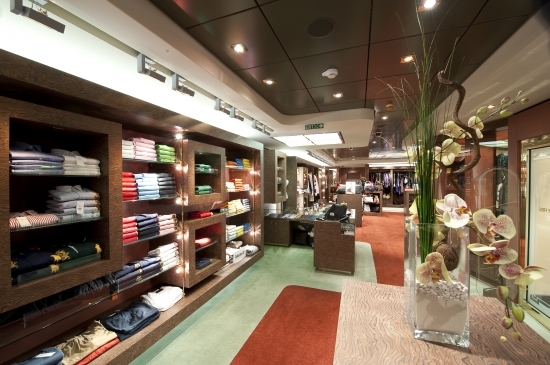 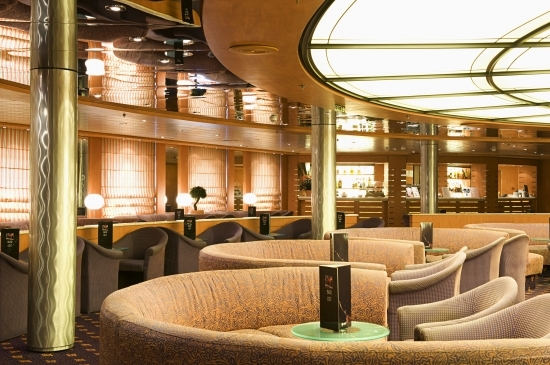 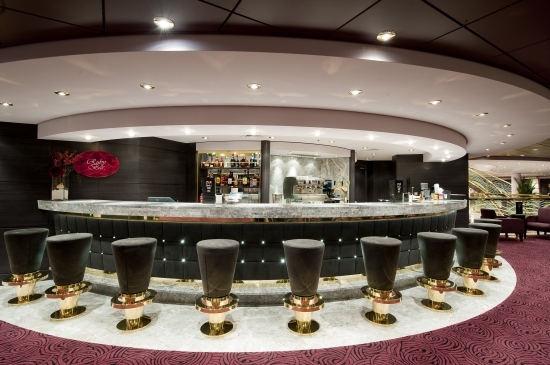 Deck 6 features the Royal Theatre, Poker Room, Tiger Bar, MSC Logo Shop, L'angolo dell'oggetto, Topazio Bar, Ruby Bar, Sequoia Bar, boutiques and shops, and the Quattro venti Restaurant. 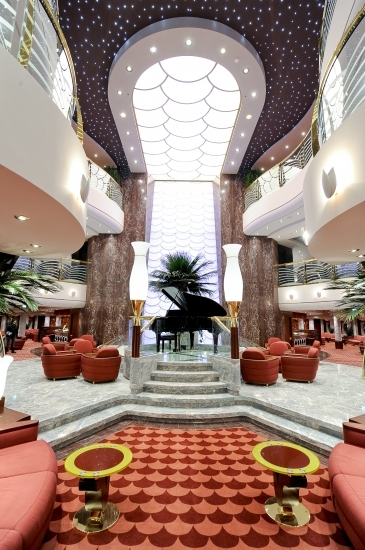 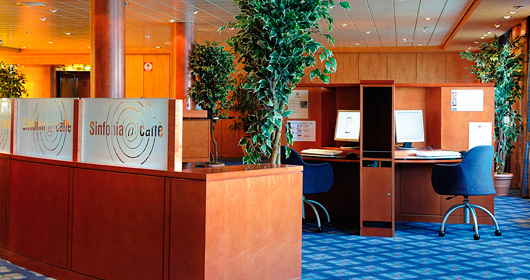 Deck 5 features staterooms in categories 1 and 4, as well as the medical center, Le Gocce Reception, Bar Le Gocce, and L'Edera Ristorant.